We are using buffet style for the function. The most important benefit of using this kind of style is that more people are feed by using this style. There is no need for calling more and more staff. Less staff is required in this kind of style. It helps in allowing the rotation of the food. It helps in cutting the cost and thereby increases the profit margin. But the main drawback of using buffet style is that there is no personal interaction with the guest in it. They will take the food according to the menu. Tommy will serve the food made by the people in the buffet style according to the requirement of the guest. Katy will arrange the tables in the round format so that people will take the dishes according to the suitability and will cover all the dishes accordingly. Thomson will greet all the guests coming in the function so that feel refreshed and wanted. Stir strain into cocktail glass. The function must start at the 2 p.m. The day will start after assigning each of the members about their roles that has to be individually performed by them. The respective students must greet the guest at the function by offering them the starters initially or serving them hot drinks or cold as required by them. The checklist is prepared and all the work is done according to the set checklist. The buffet style is used to serve the guest so that they may choose the food according to their taste and preferences. The checklist will contain the name of the person who is responsible for the food and it must also contain the time for preparing at and also contain the time period when it is to be served. In the absence of any student, the food is prepared and managed by some other person as the said student is not able to do it for some other cause such as illness or any other damage occurred due to accidental causes. Standards recipe cards have been prepared which must contain the bifurcation involved and must ascertain the total cost incurred in that. All the individuals must be given the assignments according to the job working list. They are preparing the food in front of the experienced trainer. The name of the alternative individual must be given so that if any individual is not feeling good enough to prepare the food, the same must be continued by other. 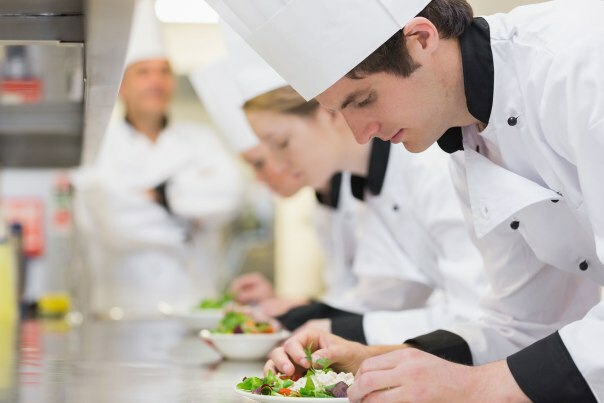 The trainer must monitor the preparation of all the individuals and must ensure that all the individuals must prepare their food on time. The quality of the food must be maintained in order to satisfy the guests so they feel comfortable. The food must be prepared according to the food safety regulation requirements in Australia. If any issue is identified, steps must be taken to redress it quickly in order to avoid any problems. The services must be offered to the entire customer according to the requirements. All the individuals must be asked to serve the foods to the guest according to set requirements and standards. The trainer will monitor the quality of the food supplied and match it within the relevant standards. If any issues arise within, he must address it within the time period of going it into the customer. He must ensure that the food goes according to the given plan in accordance with the kitchen working schedule. If any feedback is received from the customers he must address it in the better way and satisfy the needs of the customer accordingly. Kitchen workflow must be supervised in order to avoid any breakdown in the system and make ensure that it will cause any delay. If the shortage of the food is identified, then the steps must be taken to redress them earlier. All the individuals ask to use the clean methods in the preparation of the food according to the food safety regulation in Australia. And after the food is prepared they must do the necessary cleaning in accordance with the scheduled cleaning. They were asked to improve their services in accordance with the feedback received from the customer. Suggestions were invited from them in order to better the services and discussion will be made with other students in order to avoid any future complaint so that they will look attractive and satisfy the demand of the ultimate guests according to the requirement of the function. Week 1: In the first week, I learned about the different styles used in the serving of the food and learn about the basic services offered by the food industries. I will segregate the group according to the food requirement and maintain the job working style and assign each individual some responsibility in accordance with that. The menu is prepared which must contain the different items prepared and in accordance with the requirement of 150 customers. The menu is divided among the starters, main course and the deserts. Week 2: In the second week, I have learned about the preparation of the various food products. 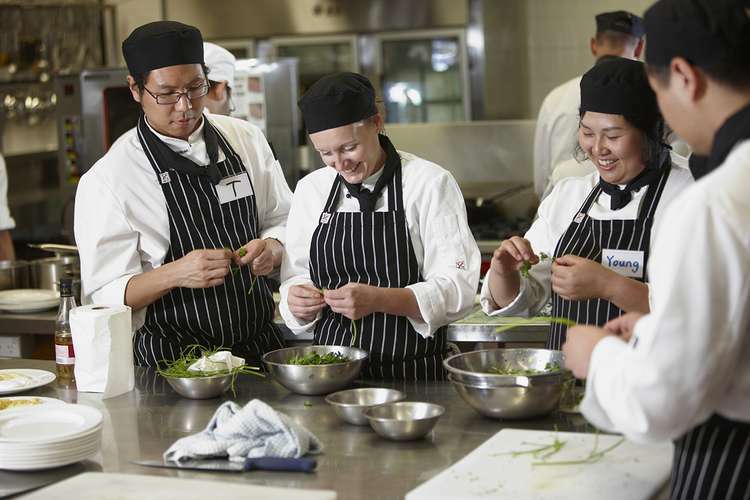 Food must be prepared in accordance with the food safety regulation in Australia. I have maintained the list regarding the preparation of each food item by the student so there may not be any confusion with the preparation of the food and all the people will maintain the food preparation according to the prescribed time period. Week 3: In the third week of my training, I have learned that what amount of food is required at what period of time that will help me in assessing the required quantities available for the project. The following details regarding what kind of food product is required at what period of time must be assessed so that no future problem will occur. I have learned the various set of skills related how to chop the vegetables, how to garnish them in the proper way. I have learned about the various details constituting the observations of the kitchen that must be kept in mind before preparation of the food item. The food must be prepared with the proper cleansing method so that it may not affect anyone. It must be prepared in accordance with the relevant legislation requirement of food and safety regulation in Australia. List of food items is prepared in advance in order to ascertain the requirements following the preparation. Week 4: In my last week of the kitchen program, I have learned about the various techniques that have been applied in the preparation of the food. The cost is calculated in advance in order to cut out all the irrelevant cost incurred. Feedbacks received from the customer must be addressed in the relevant manner and suggestions were invited from them in order to improve them further. I have learned how to lead the group team in the program. I will learn the art of monitoring the work in order to stop or delay in the things. Proper arrangements have been made in accordance with the shortage of the foods. The cost must be reduced by using the buffet style system for serving the customers as it will not require enough staff and helps in minimization of the cost. 3. What are the ways can the food cost percentage can be lowered? 1.Track food prices: The prices of the food must be tracked in order to find out whether they are showing increasing trend or not. Due to this, we can revamp our menu and design it accordingly. We can choose the less expensive meats in the preparation of the food in order to cut the down the cost incurred in preparing. 2.Inventory must be continuously monitored: Checking the inventory, beverages and other supplies helps in reducing the cost. It may also help during the ordering process and keeps you ordering too little and you will know how fast one can order on something. 3.The specifications of the product must be reviewed: product specifications must be considered the time to time. If the food is prepared with some other alternative having low cost, it must be used to reduce the cost so that more and more people will buy it accordingly. 4.Waste need to be managed: Any residual part left while preparing the food must be used in some other product so that there is no wastage of the food and no new material need to be purchased which is considered as the best method in order to cut the relevant cost. 5.Items must be priced properly: The product we are offering must be priced according to the material used in the preparation of it. The minimum amount of profit margin must be added to it to recover the cost. 6.Plate cost needs to be determined: Close attention must be given to the things used such as oil, condiments and attribute them according to the customer requirement and maintain them in the pieces. 7.Identify the loss: The price of any lost inventory must be calculated to avoid any huge loss or increasing cost. Loss can be occurred due to the shrinkage, water weight so that it helps in assessing the actual cost incurred. 8.Sales mix must be analyzed: The least and the most profitable items must be recognized. 4. What can happen to the total food cost percentage if sales decline due to prices increasing too much? If prices of the food increase, then the customer will not prefer purchasing of the product. This will result in declining of sales which result in increasing the cost. It will affect the demand of the consumer and due to this sales volume affected. This may involve the various factors including proper strategy must be needed to get into the research of the market. The consumer due to increase in the price will purchase the product from the competitors at the pre-determined rate. This will increase the brand name of the competitor and due to this, the business must close down. If we are selling the same product at the high prices in respect of others, it will result in lowering the cost and which may affect the demand for the product. Chances are there that they may find the substitute of the product. Time plays an important factor in determining the price of the product. The long period, up to which the prices remain increase, the longer are the chances that the said product may face the change in the behavior of the buyer. Short change in the price will less affect the sales due to its volume as the customers will have less time to change their buying behavior in accordance with the conditions of the market. Total food cost percentages increase as the product is not sold in the market due to its high prices with regard to its competitors. People will purchase the product from the market or will find the substitute in the market. This will indirectly affect the selling of the product which will impact on the profits of the company. As the company profits are decreasing due to increases in the selling prices. Eventually, the sales will decline and the cost incurred on the products will not be recovered by the company in the short and long run. The total food percentage starts increasing at the tremendous rate and will go on increasing in the marketing management. 5. What happen to the sales if the quality of foods and services decline? The sales of any organization will also decline if the quality of the food and services offered by it declines. They both are connected with each other. Sales are directly proportional to the quality they offered to the customers. Sales are directly related to customers and customers are only attracted when the organization provides quality of food. 1.Brand image: The brand of the company affected by reducing the quality of goods and services. When any organization takes the decision of reducing the quality of their products it will not face the consequences in short term. After a period of time the company will face the consequences. As customers play a very major role behind the sales of the goods. The customers are the people who takes the company to a height. If the organization fails to fulfill their requirements, then the company will not able to attract more customers. To make repute in the market it is essential to provide quality services. 2.Customer base: When an organization reduces its quality in terms of providing of the goods and services, the customers will shift to other producers and offers. Customers are only attracted to those organizations that provide quality food and services. Customers are paying an amount against the services rendered by them and if quality services are not provided to them, the customers will not render the service next time. 3.Low sales: When a company reduces the quality of goods it faces a threat of low sales after some period. The sales are related with the customer base. If there are more customers in an organization, the organization will definitely get profit and this lead to achieve the target and goals set by the organization. On the other hand, if the company provides goods and services not according to the expectation of the consumers then it will face a problem of low sales which is not good for the organization in order to achieve the objectives. 4.Trust of the customers: The regular customers of the organization will shift to another organization if the present organization is not providing adequate services. Any organization can earn profit only if it has large customer base. Drifting and shifting of the customers is a big loss for the organization. The whole activities of the organization get shuffled. In the short term, the customer may not shift but the organization will not be able to achieve its target and growth on long term. 5.Future opportunities: If the company is not able to satisfy its customers, then it faces some issues such as low sales, loosing customer base etc. If any company wants to survive in the market and want to achieve its goals the company has to provide better services and to avail more opportunities prevailing in the existing market and future opportunities. 6.Relationship with stakeholders: There is a need to maintain relationship with the stakeholders. Stakeholders are vital for the success of an organization. Stakeholders include customers, employees, consumers, suppliers etc. If the organization declines its quality of food and services, then it will not able to match the customer expectations. This will reduce the sales of the organization. Lower sales will affect its relationship with the stakeholders. The above is the sales report is for the month of May and shows the Total food cost percentage (%) of the month and also shows the totals of Menu Cost and Menu Revenue. Menu cost: Menu cost is the total cost of the particular dish and it can be determined by multiplying the food cost with the amount of dish sold. Food cost: It refers to the cost of each food items in the restaurant. Amount sold: It refers to the amount of each dish that is sold in the specific period of time. Menu revenue: Menu revenue refers to the total sales of the dish at a particular period of time. It can be calculated by multiplying the sales price with the amount of dish sold. Sales price: It refers to the price offer by the seller to each dish on per serve. Total food cost percentage: It can be determined by dividing the Menu cost with Menu revenue and multiplied by 100. It is the percentage of the entire menu for a certain period of time. The above Profit & loss statement shows that the TIV Restaurants are suffering from loss because of an excess of expenditures over revenue. The revenue earned by the TIV restaurant is low and its expenses on the restaurant are high. The Net loss depicts that company’s expenses are high over its income and this reflects the negative impact on the investor, shareholders, stakeholders. The reputation and brand image of the company is deteriorating. This leads to the turnaround and divestiture situation where the company has to close its business or the product line. There is need to increase the income or revenue in order to gain profit and restaurant have to develop the strategy and also, needs to re-define its objectives. 2: Describe the process of discrepancy in the financial report, the process of detecting the discrepancies in accounting. The above financial report has the discrepancy as the TIV Restaurant is suffering from loss in the month of May. There is need to find the discrepancy in accounting. The discrepancy in accounting: The discrepancy in account refers to the difference or in the statement of the financial reports. The discrepancy in accounting is aninadvertent fault in the preparation of financial statement. the common discrepancy in the accounting is data errors, late payment, bank reconciliation, technology. Data errors: It is the common discrepancy that the accountant perform, it is an unintentional fault made by him. The accounting count on the input data from different sources like sales figure, inventory, suppliers, assets valuation, statement of profit & loss, statement of cash flow etc. if there is any error committed in the input data, then it must be reflected on the financial statement. these errors can be detected through the careful authorization of all receipts and cash flows. It is the responsibility of management and the finance team to identify the error and keep an eye on all statements. Late payments: There is an impact on the financial statement and on their accuracy if the clients are making the late payments. Account receivables are the payment with its deadlines and it is assumed as the timely payment, then it creates a discrepancy in the accounting statement. Shrinkage: It refers to the shortage in the sales and inventory during an operational period of time. The shortage can be possibly arising due to damages, petty theft, omission in the record of perishable goods etc. the careful management of the inventory and necessary to maintain the accuracy so that discrepancy can be avoided. Bank reconciliation: It is the statement which creates temporary discrepancies. It arises due to the omission of amount or record of the wrong amount on the both bank or passbook side. Another reason is that the transfer of amount in the bank takes time. Technology: It causes discrepancy because of error in the software of accounting system. today accounting is based on the endeavor of software, so the error in complex software is hard to detect and it causes inconsistency in the financial statements. 1.There is need to create the culture of the business by the senior management that employee does not involve in the fraudulent. 2.The management has to establish the program of whistleblowing. 3.The board of directors and members of the audit team need to be knowledgeable and highly qualified. 4.Account receivable is carefully analyzed as it affects the balances of the receivables. 5.The changes and swings in the amount of the assets and liabilities should be analyzed. 6.The management, stakeholders, the board of directors, employee, customer needs to have the knowledge about the fraudulent and also, must know to combat with the fraudulent. This can be done by developing the knowledge of abusive and prohibited accounting. The staffs are required in the lunch and dinner shifts and the Chefs and Waiter/waitress are required. There is need of more staffs in the weekend as the people come on the weekends to enjoy their holidays. The chefs and waiters are always needed in the Bistro cooking. There is always need of 6 staffs in the back of the house on each weekday, 1 Full-time Bistro manager and 8 Casuals waiter/ waitress in front of the house. The hotel is open 7days per week and the shifts hours of the staff include lunch and dinner shifts. There are total 8 hours per day such as lunch shift is from 10:30 Am to 2:30 Pm (i.e. 4 hours) and dinner shift i-s from 5:30 Pm to 9:30 Pm (i.e. 4 hours). 10: 30 a.m. to 2:30 p.m. The front of the house includes 1 Bistro manager and 6 Casual Waiter/ Waitress. They are paid according to their hour rates and pay rates. The manager has to work for Full- time or 40 hours in a week whereas the Casual staffs have to work for total minimum 2 hours. The Full- tome staff are paid on a flat annual rate with no extra rate on the weekend. But the Casual staffs are paid for the weekend (Saturday and Sunday).